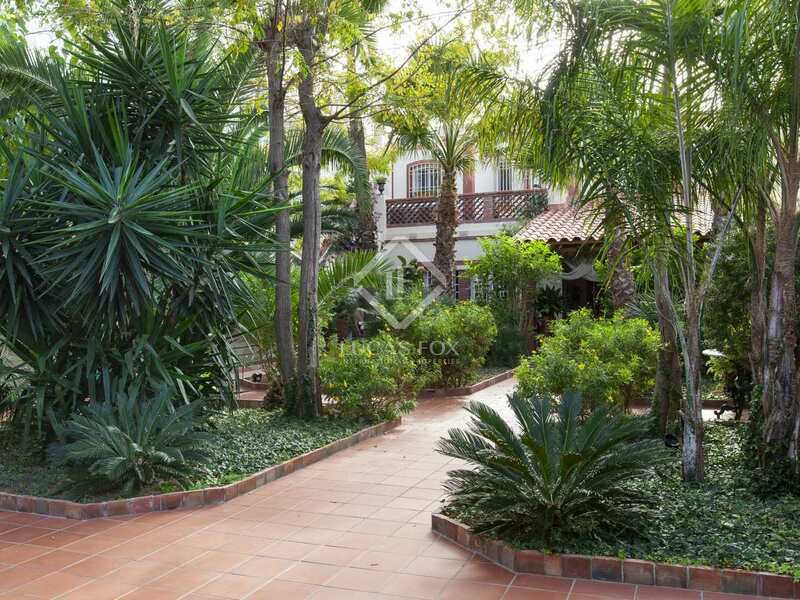 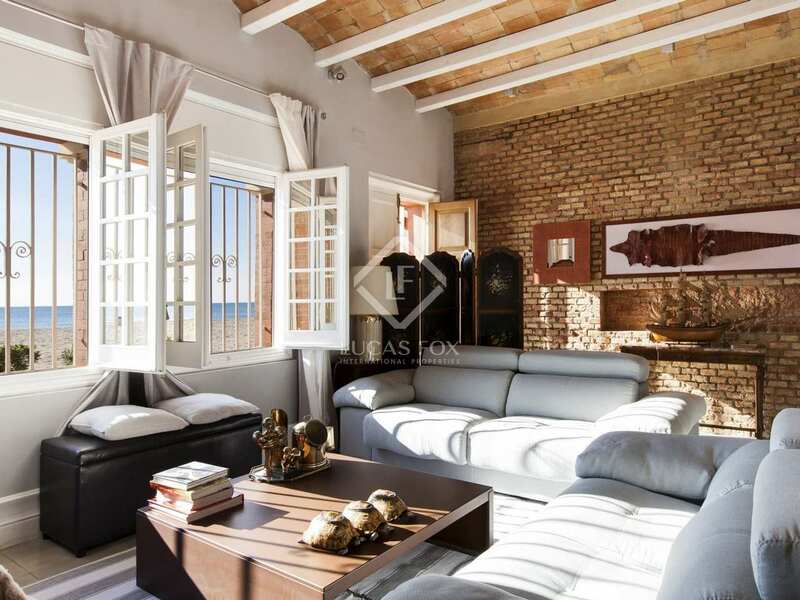 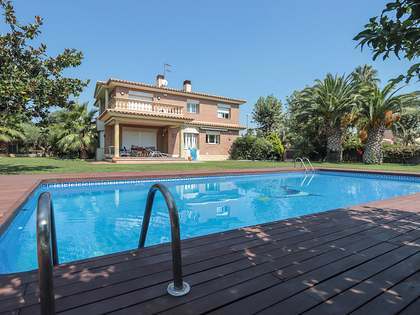 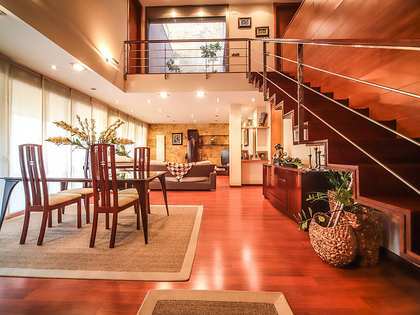 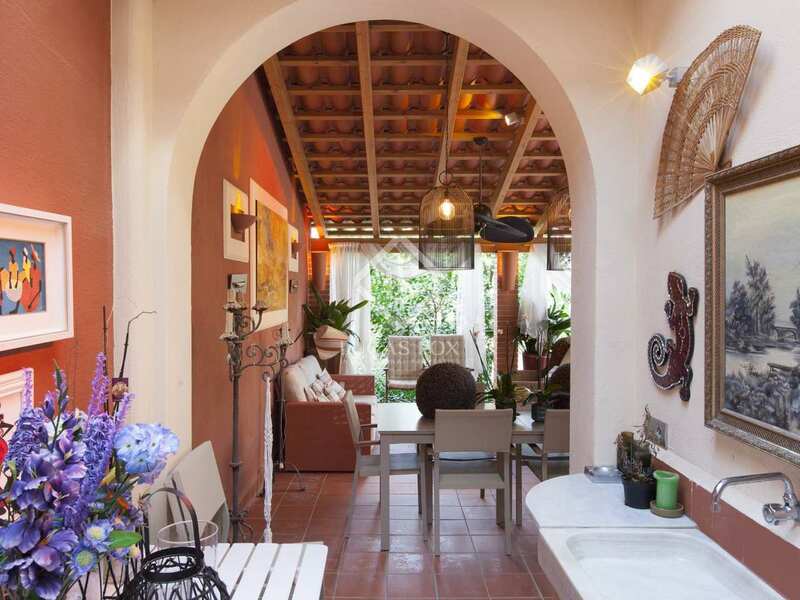 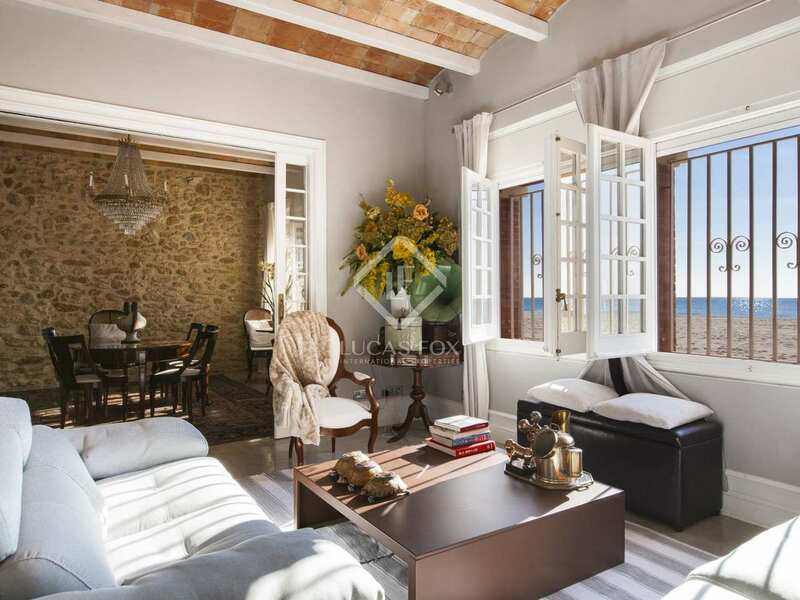 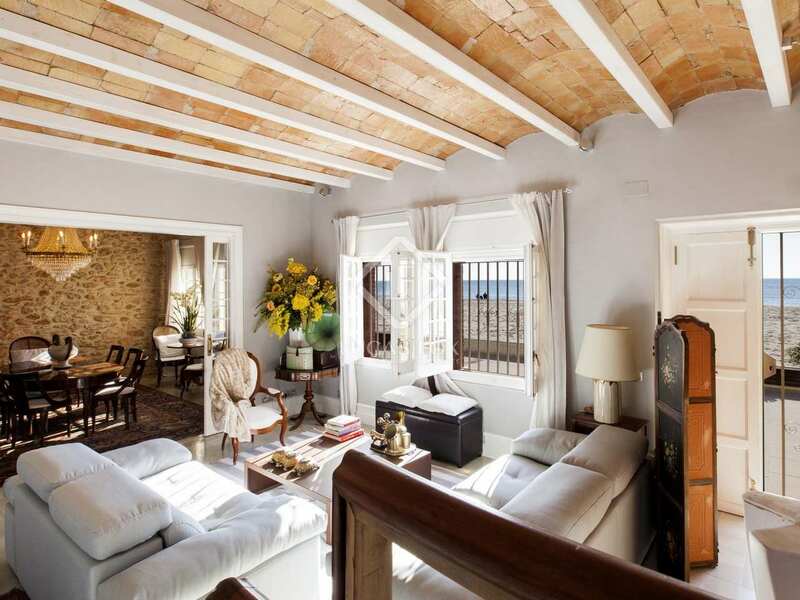 Picture-perfect family house of 386 m² with 5 en-suite bedrooms and separate guest accommodation in an incredible beachfront location in Vendrell, near Sitges. 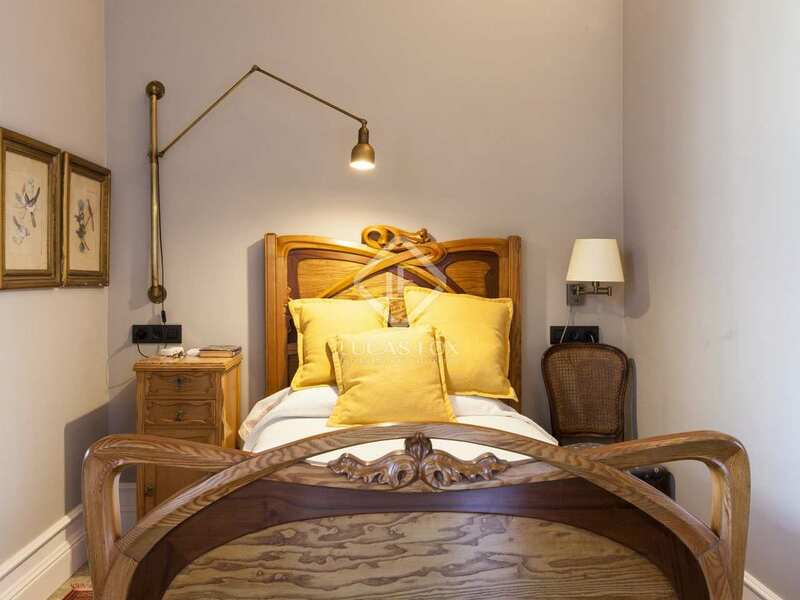 The pretty historic property is accessed via a majestic gate that leads us through the landscaped garden to the covered terrace and chill out area. 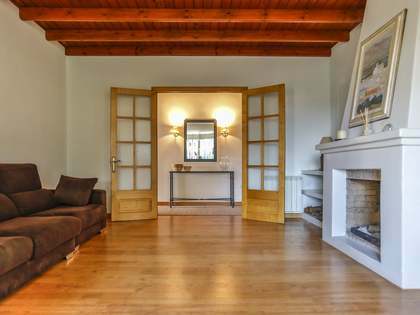 As soon as the front door of the house opens, we see the warm, welcoming interiors with a fireplace in the hallway, a reading area, living and dining room, fully equipped modern kitchen, guest toilet and double bedroom all on the ground floor. 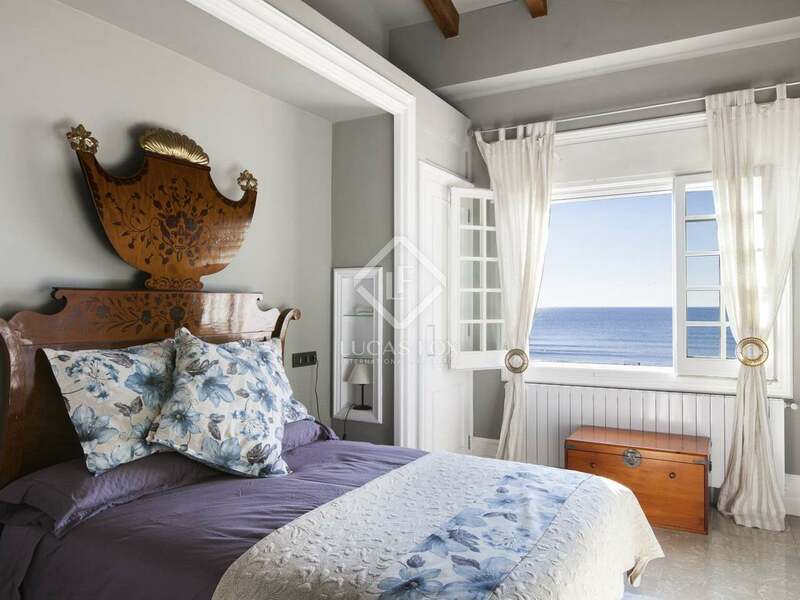 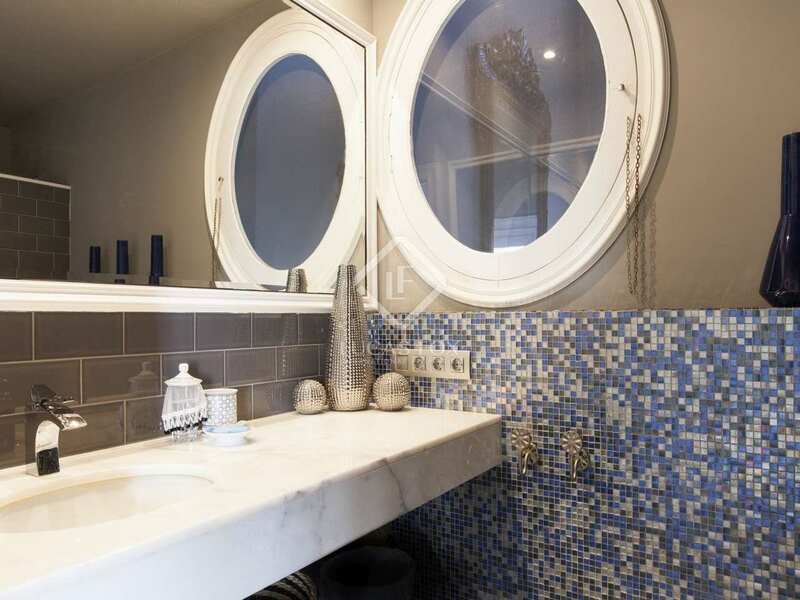 Upstairs is the wonderful master bedroom with a walk-in closet and en-suite bathroom, a sensational hallway with a reading area and lovely sea views and 3 further double bedrooms, also all with en-suite bathrooms. 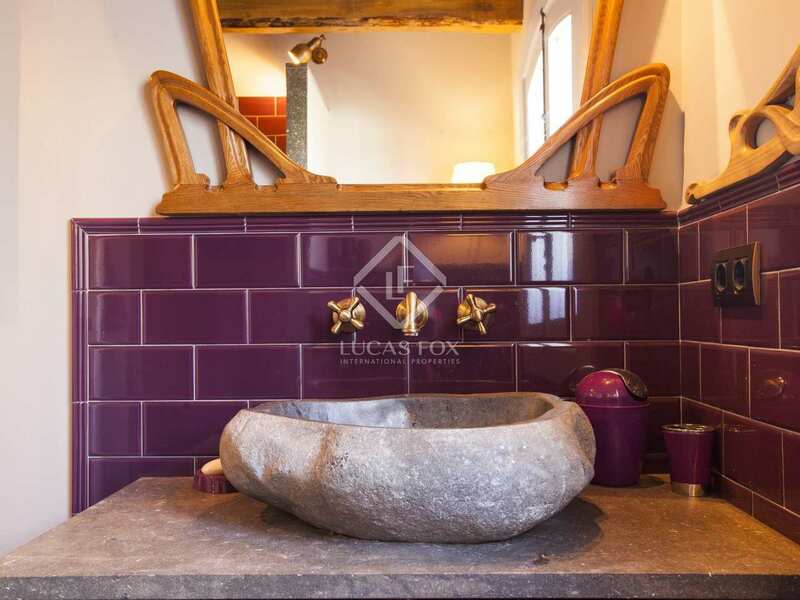 Apart from the 5 en-suite bedrooms in the main house, there is a separate loft-style apartment which is ideal for guests or staff. 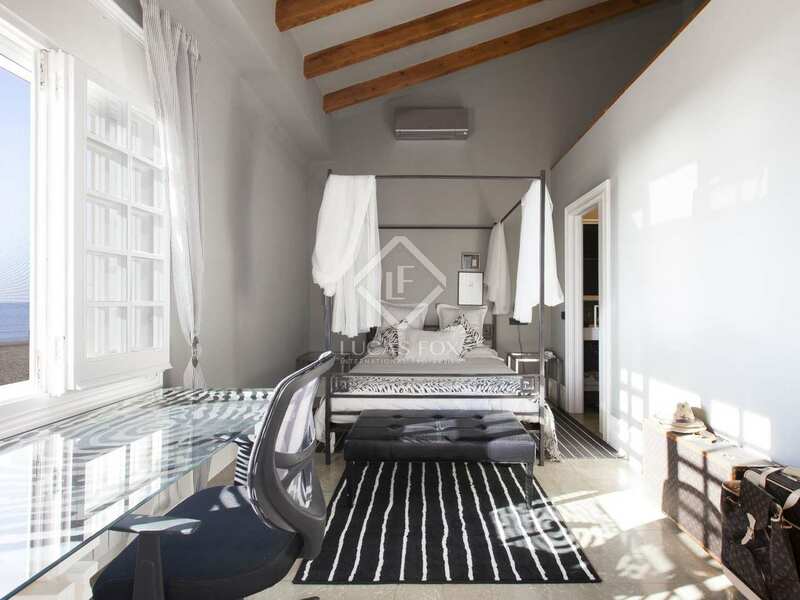 The plot offers the possibility to construct a large additional building of approximately 450 m² over a main floor and 3 further floors, opening up the possibility to run a boutique hotel here for example. 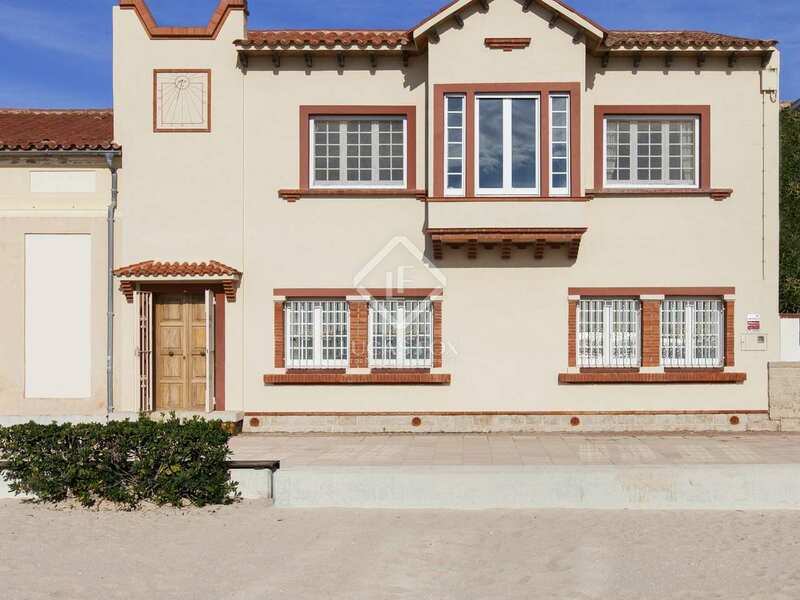 Parking spaces are provided for 1 car in the garage and 2 further cars outside. 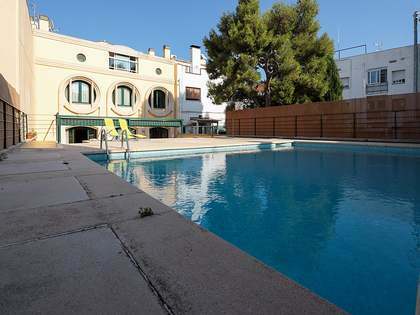 Thanks to the location of the house, away from the train station and in an area with limited parking facilities, the beach is quiet and easily accessible all year round. 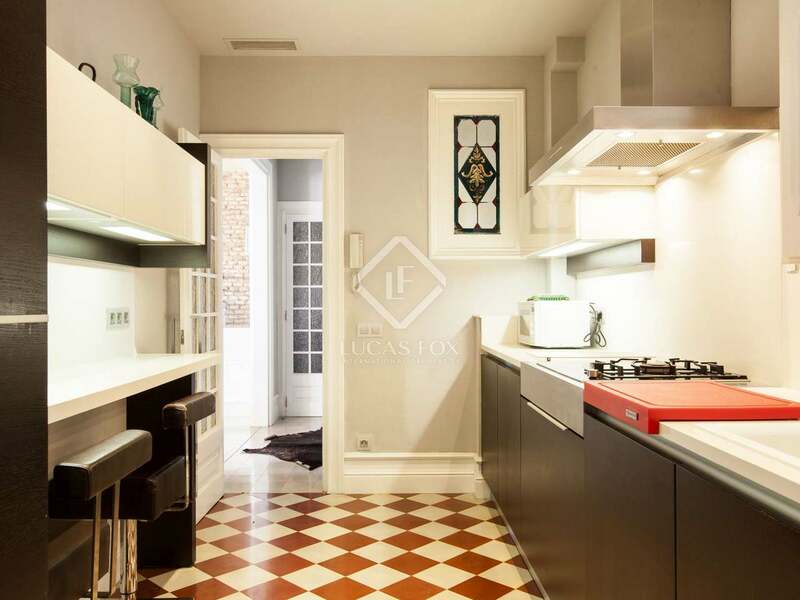 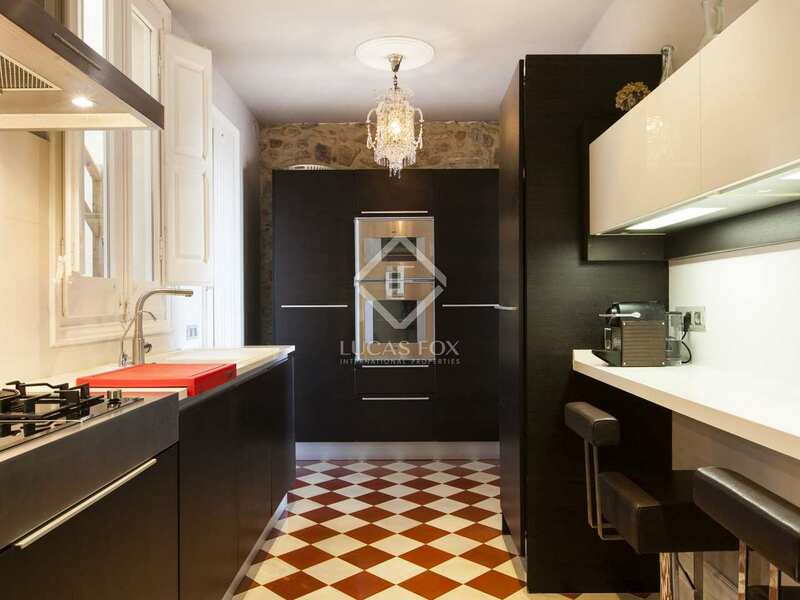 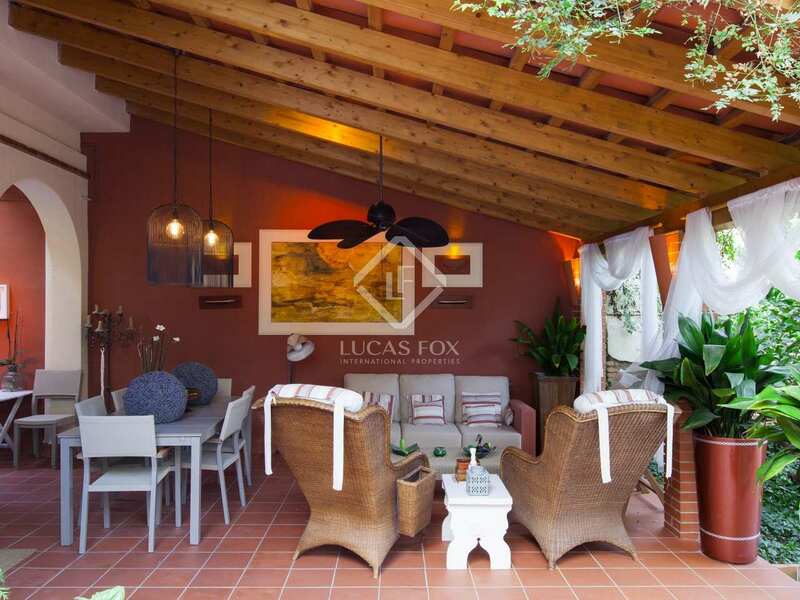 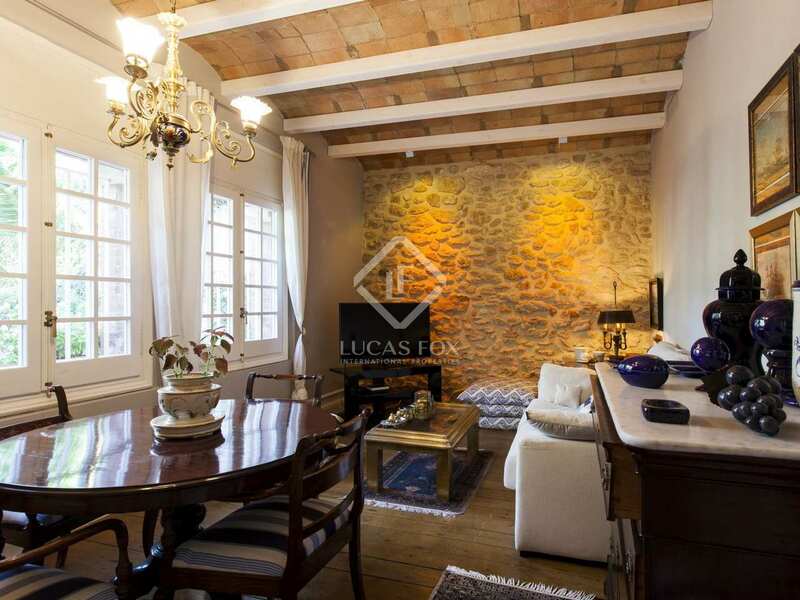 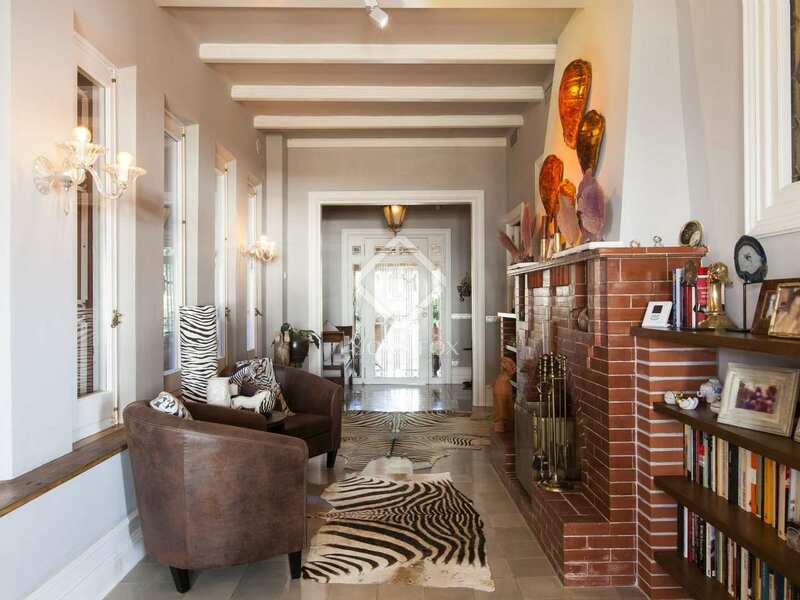 The house is presented in excellent condition with impeccable interior design features such as vaulted ceilings with fresh white wooden beams, exposed stone walls and traditional red clay floor tiles. 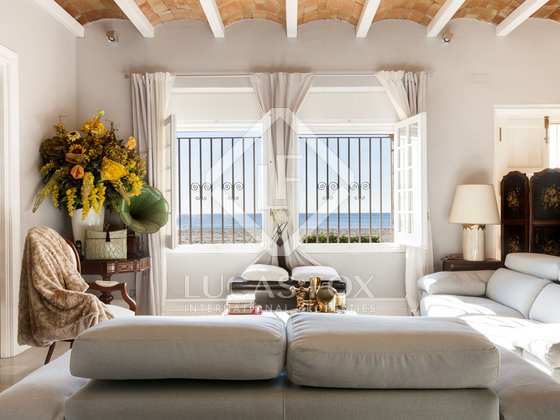 Bright white woodwork and cool grey walls create a wonderfully airy atmosphere inside the house and breathtaking views of the sea can be seen at every turn. 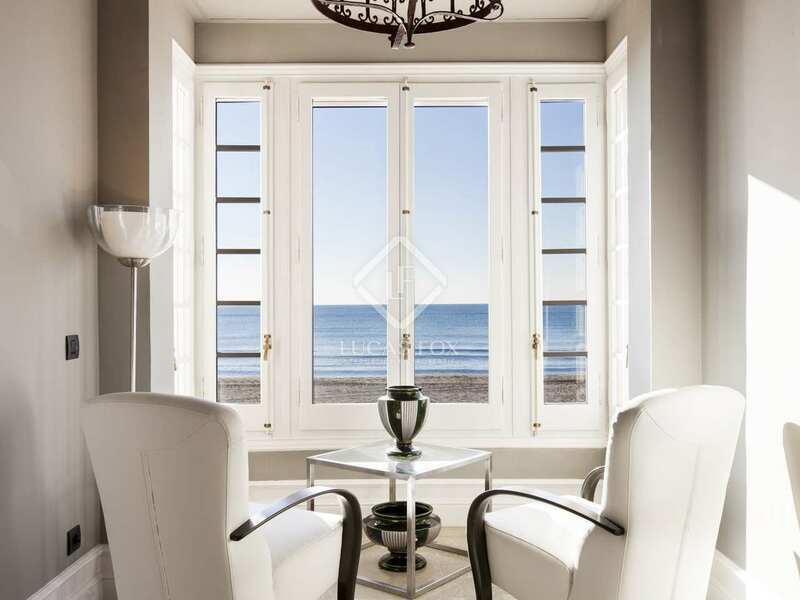 In short, a dream come true for any family in search of the perfect beach house. 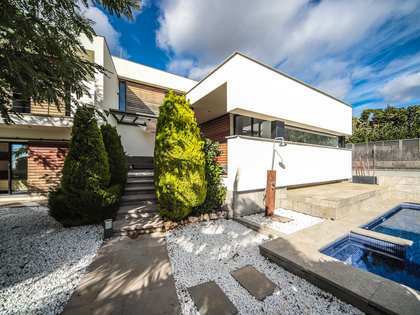 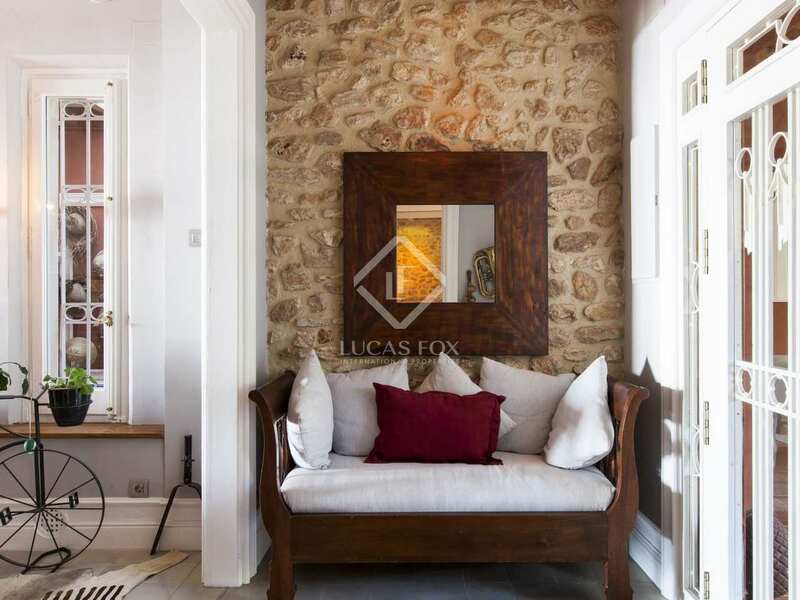 Exclusively listed with Lucas Fox.